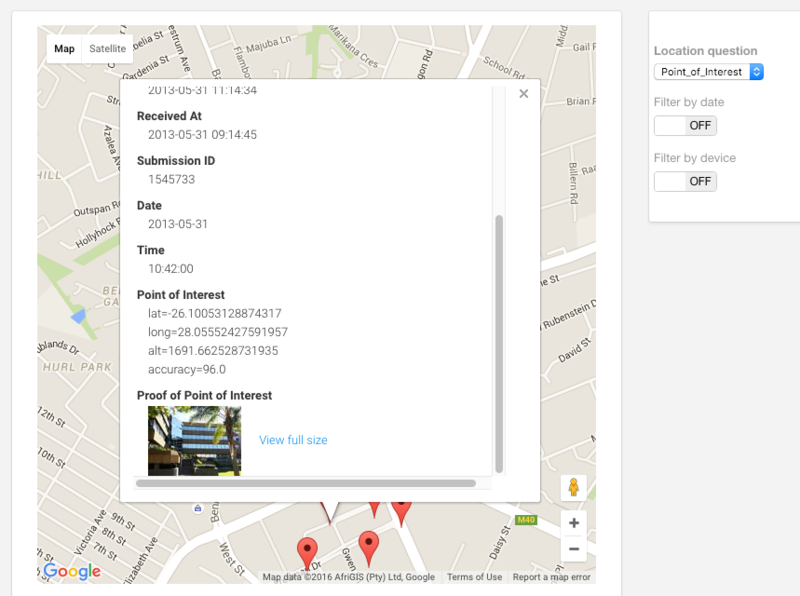 By using the Image question type and GPS features (the Location question or any fields that have been geo-stamped), you can make the most of the Device Magic Database Mapping feature (a feature that allows you to plot the submission of forms on a Google Map). 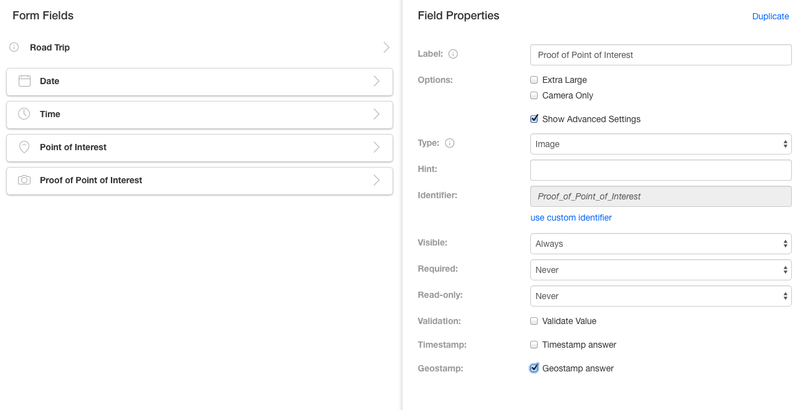 The first thing you need to do is create a Form that contains Image and Location questions, or even just Image questions with geo-stamping enabled (this can be done in the Advanced Settings section of each Image question). Once you've created your form, Save & Exit. At this point, you'll be redirected back to the Forms page where you can have a look to see if you have the Device Magic Database added. If you do not, check out this article to see how to add it to this form. Next, fill out the form for each location you would like to map, and then "Submit". After this has been done, each submission will be visible in the Device Magic Database. You can view them in the entries page. At the top of the entries page, you will see a button that says "View on Map". Click it. This takes you to a Google map that contains all the locations you entered. The map can also be viewed in full screen mode (click the button marked "Fullscreen"). Lastly, if you click on one of the marked points on the map, data relating to that point will be displayed. This includes an image link with an option to view it full sized. When you click on the link, the image will open in a separate tab. This concludes our overview of our mapping feature within our Device Magic Database destination. If you have any questions or comments feel free to send us a message at support@devicemagic.com or leave us a comment below.